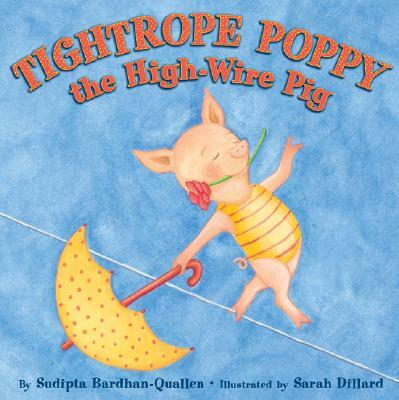 Sudipta Quallen's spirited rhyming text, Sarah Dillard's cheerful illustrations, and an adorable little pig will capture children's hearts and engage their minds. Poppy dreams of high-wires, daring acrobatics, and Big Top fame. "I'll be a star in no time!" she cries, after practicing her stunts on fences and railings. But when she fearlessly balances on the tightrope at Zig E. Zailey's Super Show, the unexpected happens: Poppy drops and plops...and flees in shame. Will Poppy ascend to the heights of success? Or will she head home, tail between her legs? Thanks to the fun text and circus-colorful pictures, youngsters will have a great time learning to follow their dreams--even when at first they don't succeed.